Item No. 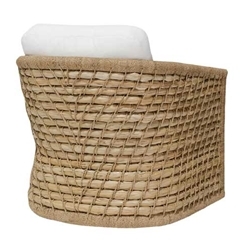 9 Woven Seagrass Lounge Chair with sturdy rattan frame, natural seagrass with tied woven rope. Two loose seat and back cushions provide amazing comfort.